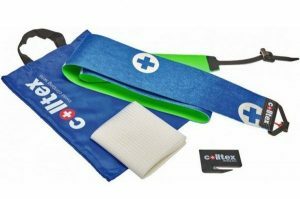 Not sure which Colltex model is right for you? We’ll make it simple. Roughly 90-95% of the time, if you are a backcountry skier who likes to ski powder and likes to do multiple laps a day, the answer is choosing a climbing skin with Hot Melt Glue. The Colltex Palu and Colltex Todi skins come with hot melt glue for maximum tackiness and adhesion to your ski base. Both the Palu and Todi, are your everyday workhorse climbing skins meant for a variety of winter and spring conditions, and will still stick after being taken on and off your ski base multiple times a day. The secret is in the strength of the glue and because of this are best used with the provided soft netting for easier separation when stored glue to glue. Although not mandatory to use the soft netting between the glue surfaces, we recommend it as it is efficient and less energy will be expended at changeovers. If the Palu and Todi use the same glue, what is the difference between them? Both the Palu and Todi are lightweight, packable and come in a variety of widths and lengths. The difference is in the “hair” or plush material. Palu has 100% mohair plush material which is very soft and supple and has impressive glide and climbing capabilities. It is a high-performance ski skin. Todi has 65% mohair and 35% polyamid plush material which has similar performance attributes to Palu, but at a slightly lower price due to the blended poly with the natural mohair. So what about the other 5-10%? Due to certain customer requirements and those individuals with professional level experience, the Clariden may be the best choice. 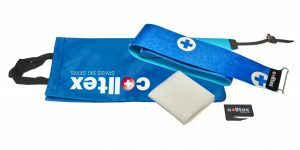 The Clariden utilizes a specialized low tack adhesive, which makes them easy to handle, easy to pull apart when placed glue to glue, and are intended for fewer transitions on and off the ski. In heavy snowfall or wet conditions, or if you are constantly taking your skins on and off, you risk getting contaminants or moisture on the adhesive. These are not ideal conditions for a low tack glue and special care is required when in the field. If choosing the Clariden, it is important to understand the capabilities and limitations of low tack adhesion. If you have limited understanding or experience with climbing skins, then we suggest sticking to Colltex skins with hot melt adhesive, which has proven to be one of the most reliable and durable skin adhesives for the past 51 years. Did you know Colltex invented the modern day adhesive ski skin in 1968? Stay tuned for a future post on the history of Colltex. The Clariden is very supple, lightweight and packable. It uses 65% mohair and 35% polyamide plush material. Hopefully, this will help you make a more informed decision when buying Colltex Skins. As always if you are still uncertain or have any questions please feel free to contact us. We are here to help. Thank you for reading!